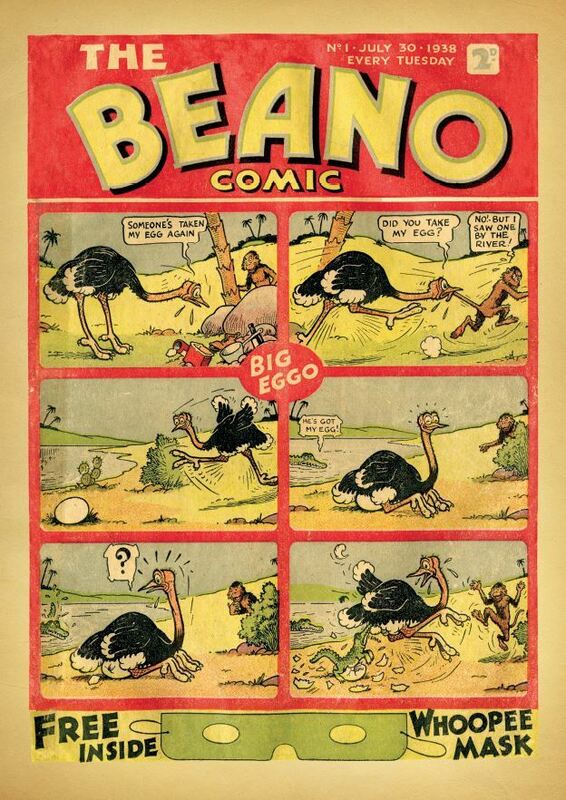 Beano turns 80! - D.C. Thomson & Co. Ltd.
Long-standing comic Beano has turned 80 and remains the forefront of children’s entertainment, with latest figures revealing 90,000 British children are viewing Beano content online every week and a copy of the comic is sold every 17 seconds in the UK. Since the launch of Beano.com in 2016, 2.5 million children have visited the website and unique monthly users have grown 44% since December last year. 1.86 million copies of Beano were sold in 2017 with latest figures showing a 7.9% year-on-year increase in sales, recording weekly sales figures of 37,542 copies. This increase in sales shows consistent long term growth for the title with three successive yearly increases posted. On its 80th birthday Beano has revived the infamous ‘Dennis & Gnasher Fan Club’; membership is now free offering printable club badges and membership certificates. Fans now have access to an exclusive prank portal on the Beano app which can be accessed with a secret pin-code. The secret world of pranks, available through the ‘Gnasher’ icon, includes tutorials to D-I-Y pranks, prank video call hotline and Beanocam; which gives fans the chance to Beano-fy their snaps. Initially launched in 1976, readers who joined the Fan Club would receive a Fan Club pack with special Dennis and Gnasher’s goodies. The Fan Club ran for 22 years as the ‘Dennis the Menace Fan Club’ before becoming ‘The Beano Club’, which had members ranging from seven to 70 years-old. At its height of fame, the fan club reached over 1.5 million followers and even had celebrities amongst its number including; Olympic Gold medallist Linford Christie, BBC Radio 2 host Chris Evans and Royals HRH Prince William and Harry. 2. During the second world war paper shortages meant the comic was reduced to 12 pages every two weeks. 4. After the second world war, the Beano Editor’s name was discovered upon a Nazi assassination list for ‘gross disrespect’! 5. For the first few episodes of his story, Dennis DIDN’T wear his famous red and black hooped jumper. His mum was still knitting it. 6. For six weeks in 1986, Dennis’s famous Abyssinian Wire-Haired Tripe Hound, Gnasher went missing from the comic. He returned with six puppies. 7. Dennis was originally sketched on the back of a fag packet, in a pub! 10. Lord Levison’s enquiry heard that ‘every newspaper apart from The Dandy and Beano’ was named in the investigation! To celebrate the birthday, members can also snap up Fan Club packs for £9.99* from the Beano shop. These include the infamous fluffy Gnasher badge and an Official Fan Club Membership Card, all embossed in silver foil with the Dennis and Gnasher Fan Club badge.